Now, given that to see this post you must have access to the internet, I'm assuming you've all seen this. The latest optical illusion that is tearing through the ether. I spent a long time thinking, there's a badly made brick wall and feeling sure there was something else I was supposed to be doing other that looking at it, then I cheated and read the hints. Stop reading now if you just want to keep staring. Yup, I will try and justify that. When I first started thinking about the 18th century I imagined a world where women were almost completely lacking in agency. It did not occur to me that women were powerful economic players, owned and ran businesses or were active in politics. But then I had my cigar moment, and I started seeing evidence everywhere. Women speaking at meetings, women listed as print shop owners, women making and selling their cheese in markets, women painters, engravers, designers and writers. All of a sudden they were obvious. Waiting just below the surface of things to be recognised. I would imagine that everyone who writes for the History Girls has had a similar moment of revelation and confirmation. For a while it seemed to me there were references to business women in every eighteenth century text I picked up. Every copy of the The Gentleman's Magazine, every text book on farming, folk beliefs or natural philosophy added new names to by list of women entrepreneurs and inventors until I began to believe they were legion. Which brings me on to the red car syndrome, more properly called the frequency illusion. Just to explain the red car syndrome. You know when someone in your family buys a new car, say a red one, and suddenly it seems that the same car is much more common on the roads than you had thought? Now you are driving a red car it seems everyone else on the roads is too. Of course this isn't true. There are exactly the same number as there were before - plus the one you just bought - it's just now a bit of your hindbrain is really looking for them and flagging every example which passes by. You're not aware of the fact you are looking for them and ignoring all the others, but that doesn't change the fact that you are. Same with my legion of entrepreneurs. Yes, there were a lot of independent women out there, more than I had thought there would be, but now I was really looking for them. Each name felt like a victory and a confirmation, but I realised I was in danger of letting the big picture go blurry. I was ignoring the fact that for every woman I came across there were a hundred men. I had to contain my excitement and temper it, remembering all the disadvantages, legal and societal, that women were suffering under at the time. It's worth remembering when you get excited about some new insight or line of enquiry, you may just spotting all the red cars and not keeping an eye on the flow of traffic. But don't let that stop you getting excited in the first place. 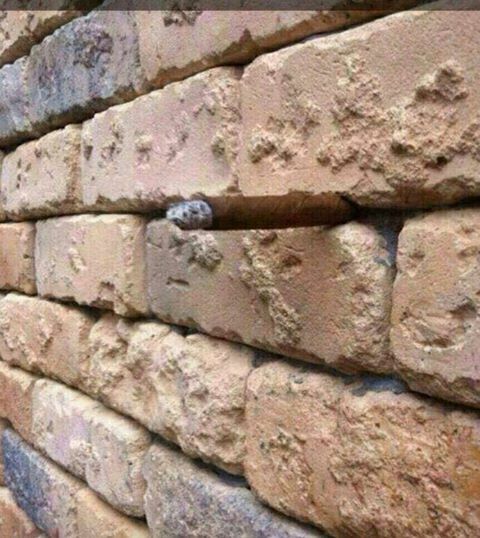 The wall / cigar thing is still really cool. I saw the cigar straightaway. I'm not claiming any great powers of observation - I just happened to. If I'd been shown it another time, I might never have seen it. I didn't see the smiley faces until Joan pointed them out! It reminds me of my friend who spotted that the main character in The Sixth Sense is dead almost immediately the first time she watched it. We were all going on about how clever the film was, and she said, "Well, nobody except the boy looked at him or spoke to him.It was obvious." Not to the rest of us. But the point about historical research is well taken. I suppose, as with any research, you shouldn't approach it thinking that you already know the answers. Don't forget that women were the ones who originally made the beer.